“Stop and think it over,” the big man with the hat and glasses has asked, from a thousand stages, in front of millions of people. “Try to put yourself in my position. ”We can’t. We can imagine, but we can’t know. We can’t know what it’s like to be the only son of Hank Williams, the long gone and lonesome singer whose brief life transformed country music. We can’t know what it’s like to be linked to such a transformative force by blood and name but not by memory, to learn about a famous father from books and photos and others’ stories: Hank Williams died at age 29, when his son was three-years-old. We can’t know what it was like to wrestle with that legacy, to try to honor all that came before, but not wind up a pale approximation of country’s greatest ghost. Born Randall Hank Williams, but singing as Hank Williams, Jr. before he was 10, the son never had much in the way of a career choice. The choice wasn’t whether he’d sing, but what, how and why. “Other kids could play cowboys and Indians and imagine that they’d grow up to be cowboys,” he wrote in his Living Proof autobiography. “I couldn’t do that. I knew that I would never grow up to be a cowboy or a fireman or the president of the United States. I knew I’d grow up to be a singer. That’s all there ever was, the only option, from the beginning. ”At the beginning, mother Audrey Williams worked to mold her son into a miniature version of his late father, and for 20 years he struggled, uncomfortably, to break the mold. When he finally found his own sound and style, he reached sales plateaus that his father never dreamed of: 20 gold albums, six platinum albums (one of which has sold more than five million copies) and 13 chart-topping albums. He has been selling out massive venues for a longer period of time than his father spent on earth. He has done more than honor his father’s legacy; he has extended it, enriched it, enhanced it and elevated it. “My name’s a reminder of a blues man that’s already gone,” he once sang. But the name “Hank Williams, Jr.” is much more than that. 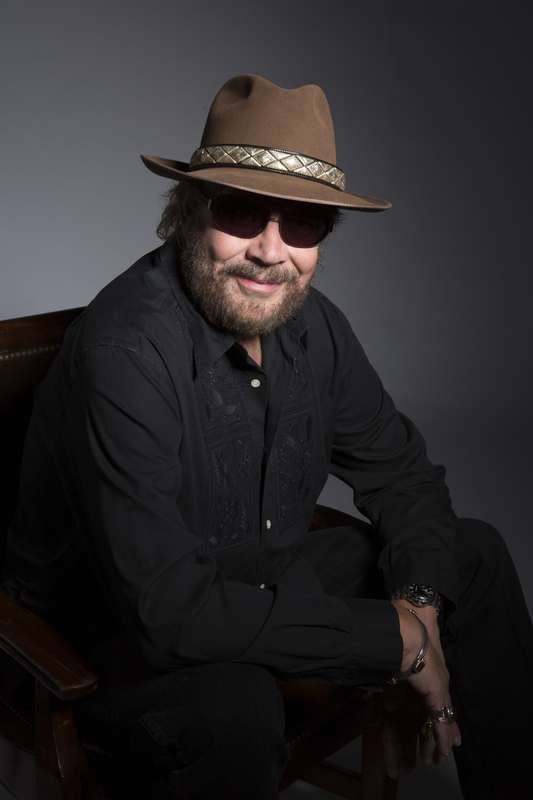 Raised in Nashville, Hank, Jr. learned music from the finest of teachers. Earl Scruggs gave him banjo lessons, and Jerry Lee Lewis showed him piano licks. And with rock ‘n’ roll in full flower, Hank, Jr. began playing a lot of electric guitar (though not onstage, where he was taught to do Hank Williams’ songs, in Hank Williams’ style). At age 11, he made his own Opry debut, walking across the same wooden boards his father had walked on, and, just like his daddy, singing “Lovesick Blues” and encoring. “Went on the road when I was eight years old, when I turned 15 I was stealing the show,” he wrote, accurately, in his 1987 No. 1 single, “Born To Boogie.” And after stealing the show, he was often offered the drinks and pills that were so prevalent among country performers (and that had killed his father). Often as not, as was family tradition, he accepted the offers. He’d also accepted a $300,000-per-year recording contract, and at 15 his version of his father’s “Long Gone Lonesome Blues” climbed to #5 on the country singles chart. Also while 15, he wrote his first serious composition, a slice of autobiography: “I know that I’m not great/ Some folks say I just imitate/ Anymore, I don’t know/ I’m just doin’ the best I can…..It’s hard standing in the shadow of a very famous man. An attempted suicide in 1974 was the low point. Had he died then, at 23, his music career would have been a historical footnote, an addendum to his father’s biography and little more. He moved from Nashville to Cullman, Alabama, rethought his life in and out of music, and recorded his first truly original work, an album called Hank Williams Jr. and Friends that featured Jennings, the Tucker Band’s Toy Caldwell, and others who weren’t in the traditional country camp. And Williams’ songs “Living Proof” and “Stoned at the Jukebox” were his most searing, emotional works to date. But while prepping for a tour, he went mountain climbing in Montana. bio“I just had to show ‘em I didn’t need ‘em/ And so I headed out west to see some old friends of mine,” he would later sing, in “All In Alabama.” “I thought if I’d climb up old Ajax Mountain, maybe that would help me get it all off my mind.” It was a nice climb, right up until the part where he fell down the mountain. He lived, barely, but emerged disfigured, wounded and, somehow, inspired. After multiple surgeries and a torturous recovery period, he was determined that he would spend no more time as a Hank Williams retread. His new music was a turnoff to some longtime fans, but it was embraced by a new crowd that liked this newly bearded Bocephus, who, as he sang in “The New South,” “started turning up loud and looking at the crowd and bending them guitar strings.” Hank, Jr.’s music was now rambunctious, forthright and distinctive. For Hank, Jr., everything changed with that 1975 dive off Ajax Mountain. The music world caught on to those changes around 1979, the year he released his first million-selling album, Whiskey Bent and Hell Bound, along with his autobiography, Living Proof. In the early 1980s, he catapulted to full-on superstar status, with major hits including “Texas Women,” “Dixie On My Mind,” “All My Rowdy Friends (Have Settled Down),” and in 1984, “All My Rowdy Friends Are Coming Over Tonight,” a party anthem featuring a riotous video that starred Bocephus in conjunction with stars from inside (Merle Kilgore, Porter Wagoner, Kris Kristofferson, etc.) and outside (Cheech and Chong) country music. In 1987, Hank, Jr. won his first of five country music entertainer of the year awards, and the two albums released that year – Hank Live and studio effort Born To Boogie – were platinum sellers. Born To Boogie was the CMA’s album of the year in 1988, the year he won the CMA and ACM’s top entertainer prize. Hank’s star rose far beyond the country world in 1989, when manager Merle Kilgore arranged a deal with ABC’s Monday Night Football to have Hank, Jr. rework “All My Rowdy Friends Are Coming Over Tonight” into a theme song to be played before each Monday’s game. Two years later, the Monday Night theme won the first of four straight Emmy Awards, and Hank, Jr. would be the singing voice of Monday Night Football for 22 years. down to son Shelton and daughter Holly, both of whom are recording artists in their own right. The father lived 29 years, and the son spent nearly that long standing in his shadow. But it is what the son did after turning 29 that has landed him a place in the Nashville Songwriters Hall of Fame, that has made him a BMI Icon award winner, and one of the best-selling artists in country music history. By finding his own powerful voice, by turns rebellious and vulnerable, he has become a music icon. He remains an inspiration to Alan Jackson, Kid Rock, Jamey Johnson and other followers and a sure-bet for eventual entry into the Country Music Hall of Fame, where his plaque will be displayed in perpetuity, just like his daddy’s, only different. Stop and think it over.